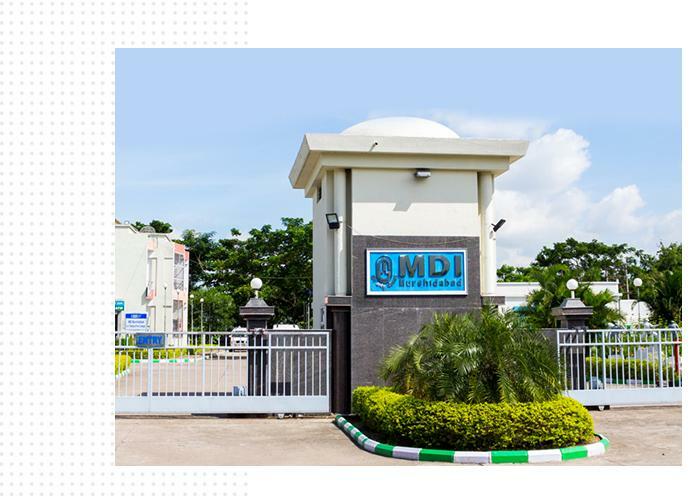 Management Development Institute (MDI) Murshidabad believes in evolving its curricullum for the flagship PGPM program keeping in mind the ever changing global socio-economic scenario. This fuels in a continous zeal in its sudents to strive to be better professionals. MDI Murshidabad leaves no stone unturned to motiviate its studets to take up live projetcs and research based activities. This obviously makes them a favorite among the coporates who have been swarming the campus since 2014 offering lucrative offers to MDI Murhsidbad students. Recently, MDI Murshidabad completed 100 percent placement for their PGDM 2017-19 batch in record time. The Post Graduate Program in Management (PGPM) is divided into six terms of three months each. The first four terms broadly cover the core subjects (major part covered in first three terms). The students are required to undergo mandatory summer internship for six to eight weeks. The last three terms students get to choose elective courses and specialize in at most two functional areas – Financial Management, Human Resource Management, Marketing Management, Operations Management. Upon successful completion of PGPM course, students are awarded PGDM degree approved by AICTE. On-Campus company and student interaction via Business Thought Leadership Sessions and Guest Lectures. Share CV of students with companies. Go through pre-placement talks and get a picture about job profiles and career prospects with various companies. Invite applications and share resumes with companies. Students rank companies based on specific parameters. Each company conducts its own recruitment process and shortlists candidates. Education Background : The students were from diverse educational backgrounds. The bulk of the students belonged to Engineering background constituting around 43%. Around 40% students belonged to Commerce and BBA. Around 6% students were from science and 10% from other areas like arts etc.